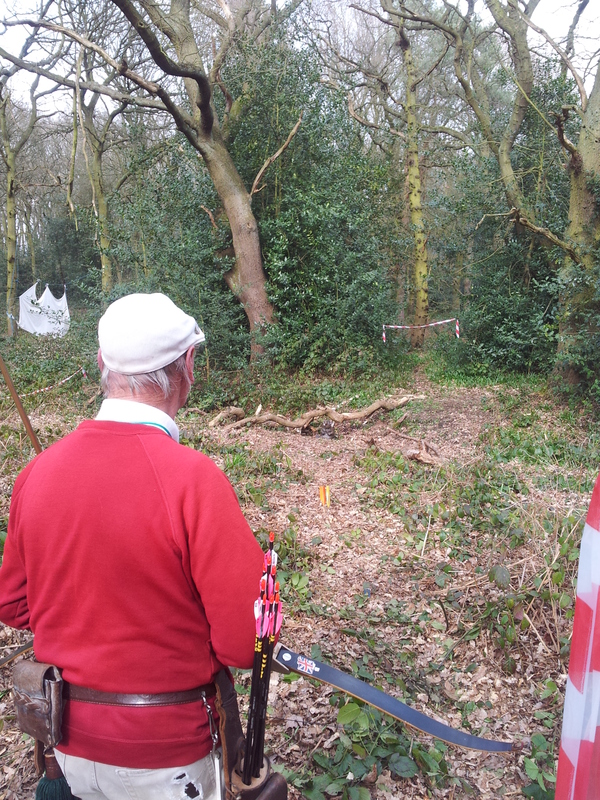 Last Sunday saw the Hanson club outside Derby organise a shoot which we attended. With the clocks changing this past weekend to BST (British summer time) we decided to not have the even earlier start on Sunday morning and went up Saturday and stayed over in Derby. 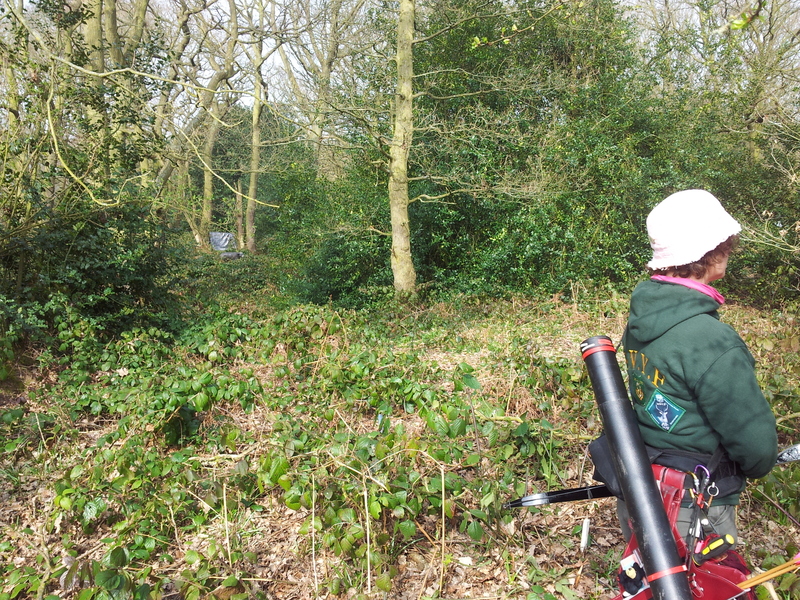 The nice thing with staying over in Derby was it gave us the opportunity to call in at one of our old clubs Black Arrow, allowing us to catch up with friends we hadn’t seen for a while and shooting round the course. As always with Hanson the food was great and reasonably priced. We were also very fortunate with the weather, with it being a bright early spring day. 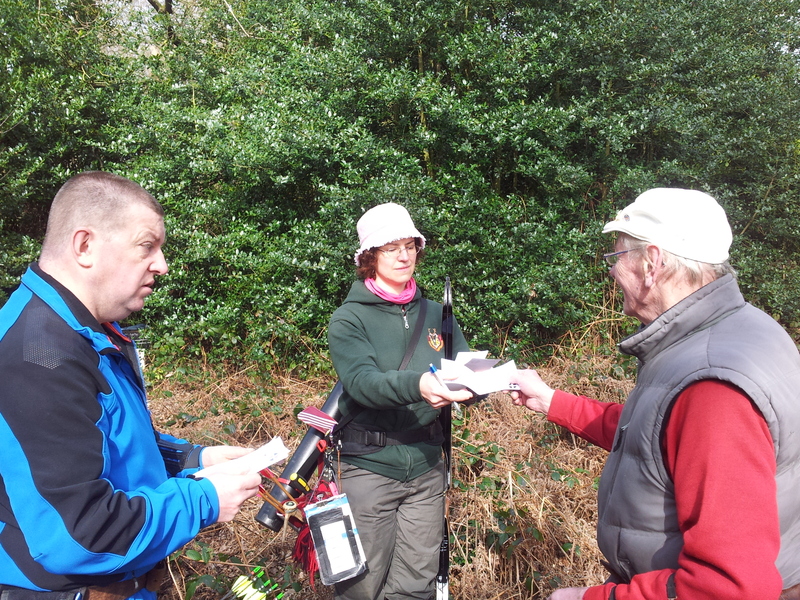 The challenging course was a mix of 3Ds and Paper Faces made up of 38 targets not the normal 36/40. There were some well set shots including this 3D beaver. 3D beaver set in wood pile. My one criticism of the course which I didn’t have chance to mention to the organisers was with their target placement on a few shots. 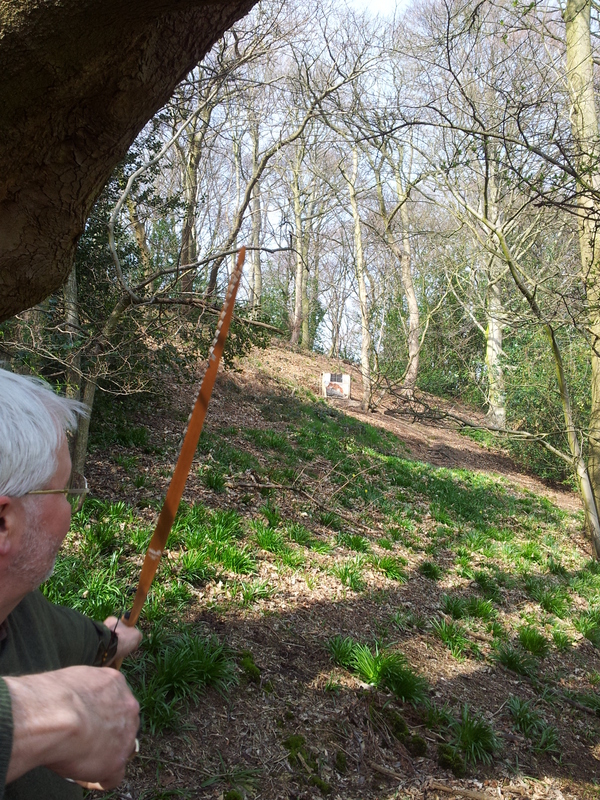 A number of 3d targets had either no boss behind to catch stray arrows or small ones that would not catch many. 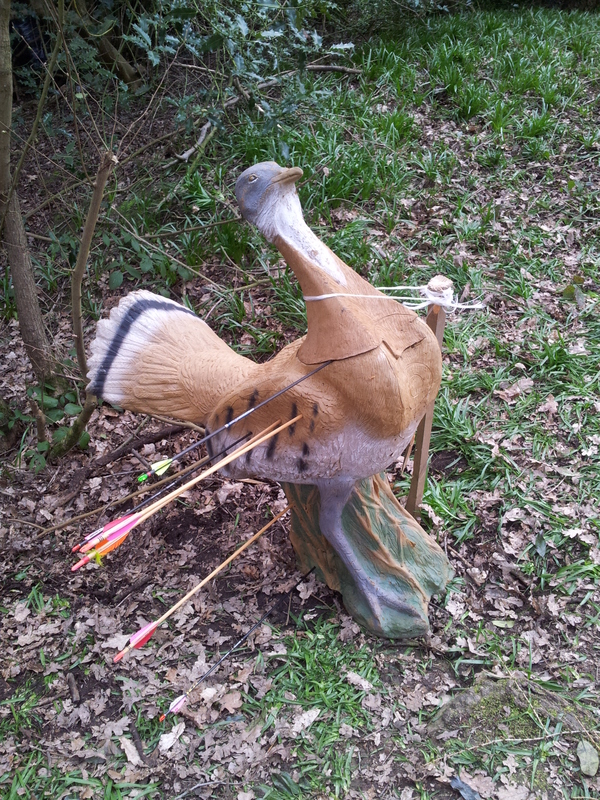 Maybe I’m sensitive to this as on one target which lacked a boss I snapped an arrow in the tree directly behind the target. There is ample space on there ground to avoid this. 3D bird though not sure what bird? I think it would be fare to say I didn’t meet the needs of the course. I came away very disappointed with both my score and performance. Didn’t feel right or comfortable all day. Shoulder and back aching almost from the start, just hoping it’s not my re-occurring shoulder problem.